A bleak landscape is bare and unwelcoming, leading towards little hope or encouragement for dwellers there. A cadre is a group specially trained to lead, formalize, and accomplish a particular task, or to train others as part of a larger organization; it can also be used to describe an elite military force. A cosmopolitan area represents large cultural diversity and people from around the globe; a cosmopolitan person is broad-minded and wise in the ways of the world. A coterie is a small group of people who are close friends or do things together and who often do not want other people to join them. A desolate area is unused, empty of life, deserted, and lonely. Exclusion is the act of shutting someone out of a group or an activity. An expatriate has been driven or exiled from his native land so he is forced to live in another country; a person can also willingly become an expatriate. A gregarious person is friendly, highly social, and prefers being with people rather than being alone. A metropolitan area is a large city. If someone is ostracized from a group, people deliberately refuse to talk or listen to him and do not allow him to take part in any of their social activities. A pariah is a social outcast. A recluse is someone who chooses to live alone and deliberately avoids other people. If you sequester someone, you keep him separate from other people. If you feel unrequited love or passion for another, it means that while you love that person, she or he doesn’t return that feeling. Woe is me, for I am forlorn, having been abandoned by my only true love. Why my beloved would leave me forlorn and lonely I know not. All I know is that the rest of my life will be forlorn and miserable without her in my life. I will move to some forlorn place, far away from humankind, where I can weep and moan in my utterly cheerless and deserted state. Quiz: Try again! What is someone who is forlorn? He has been orphaned when young. He is rather disappointed because his best friend forgot his birthday. He is unhappy and alone. A forlorn person is lonely because he has been abandoned; a forlorn home has been deserted. Forest Lonely Jeb the hermit was forlorn, alone and lonely in the deep, dark forest. Someone who is “thoroughly or completely lost” usually feels forlorn because of it. 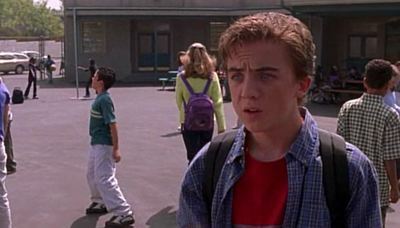 Malcolm in the Middle Malcom is feeling forlorn.